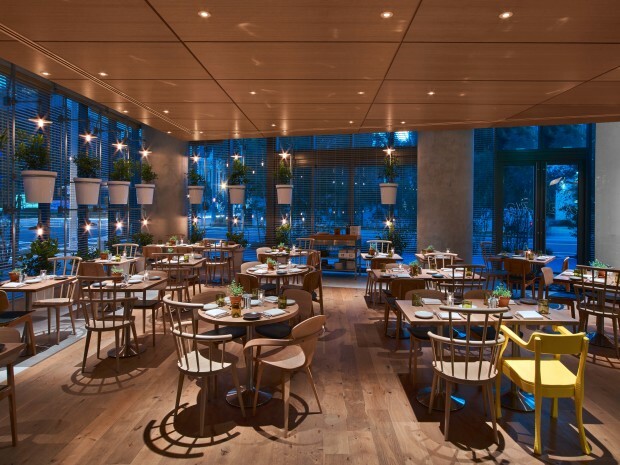 Blending world-class decor, world-renowned cuisine and "the scene" akin to SLS, we create the best Miami dining experiences to remember! Fi’lia Italian food featuring fresh ingredients from the hearth and the simplicity of handmade artisanal breads and pasta. Rustic pizzas from the wood oven highlight beautiful produce in season in special combinations. Caesar salad is tossed tableside in a shower of shaved parmigiano from a roaming cart, with the smell of toasted garlic croutons reminding you of how satisfying and memorable the classics can be. Cocktails are refreshingly uncomplicated and complement a focused wine list celebrating Italian regional varietals and American wines with an old world sensibility. Surrounded by spectacular views of Downtown Miami, Altitude Pool deck offers a seductive urban oasis of glamor and comfort. Enjoy dedicated poolside service, while you luxuriate in signature cocktails and light fare. Whether it’s breakfast or lunch poolside, or you simply want to catch some rays, Altitude Pool offers a relaxing yet energetic expression of The SLS outdoors. Altitude has an intimate layout with a limited amount of lounge chairs available on a first-come-first-serve basis for hotel guests only; cabana reservations are strongly encouraged for parties of three or more. SAAM, a brand new lounge conceived by sbe’s nightlife veterans situated on the second floor of our modern luxury hotel. The Philippe Starck designed space offers the sensibility of one’s living room juxtaposed only by the chic safari inspired décor. Truly a room well-travelled, the 2,800 sq ft indoor/outdoor space features an assortment of unique accents from around the world; Antique globes can be found around every corner of the indoor portion of SAAM while African masks dance down the walls of the outdoor space. Personifying the dichotomy of Dr. Jekyll and Mr. Hyde, it’s business casual daytime environment is flawlessly contrasted by the salacious evening ambiance.